Aging affects the perioral region, resulting in folding, wrinkles, and drooping of the corners of the mouth. This might cause esthetic and functional problems. Here, we demonstrate a new suspension technique to lift the descending corners of the mouth. Two case reports are presented. A wraparound mouth corner lift is combined with an additional suspension method. A suspension suture is fixated at the commissure and subcutaneous layer in the nasolabial fold just lateral of the alar base to provide an extra lift of the corners. Ptosis of the corners of the mouth can be corrected naturally with the additional suspension technique. Further investigations are necessary to provide insight into the long-term results. Der vorliegende Beitrag beruht auf den in Vorbereitung zur Masterthesis befindlichen Originalarbeiten. Alterung wirkt sich auf die periorale Region aus und führt zu Falten, Runzeln und Herabhängen der Mundwinkel. Das könnte ästhetische und funktionelle Probleme hervorrufen. Ziel des vorliegenden Beitrags ist es, eine neue Suspensionstechnik zur Anhebung der schlaffen Mundwinkel vorzustellen. Es werden 2 Kasuistiken präsentiert. Ein Wraparound-Mundwinkellift wird mit einer zusätzlichen Suspensionstechnik kombiniert. 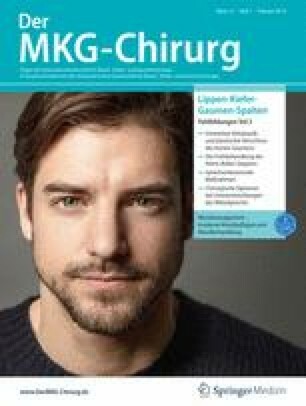 Dabei wird eine Suspensionsnaht an der Kommissur und in der Subkutanschicht der Nasolabialfalte direkt lateral der Basis des Nasenflügels gesetzt, um eine zusätzliche Anhebung der Mundwinkel zu bewirken. Die Ptosis der Mundwinkel kann auf natürliche Weise mit der ergänzenden Suspensionstechnik korrigiert werden. Weitere Untersuchungen sind erforderlich, um einen Einblick in die entsprechenden Langzeitergebnisse zu erhalten. The author thanks Sajjad Walji M.D. D.M.D. FEBOMFS from the Department of Oral and Maxillofacial Surgery at the Jeroen Bosch Hospital in ’s-Hertogenbosch, The Netherlands, for providing the surgical guidance and knowledge in developing the suspension technique presented. N. L. Gerlach and S. Walji declare that they have no competing interests. For this article no studies with human participants or animals were performed by any of the authors. All studies performed were in accordance with the ethical standards indicated in each case. For images or other information within the manuscript which identify patients, consent was obtained from them and/or their legal guardians.